At MyKidsTime, we’re passionate about helping parents and children get more enjoyment from life. We do this by providing a wealth of great ideas for activities, events and fun-filled days out. Whether it’s a week-long summer camp or a rainy day excursion to entertain kids of all ages, we know what children love – and we also know what parents want. Educational, inspirational and hugely enjoyable, the range of ideas you’ll find at MyKidsTime offer something for everyone and ensure there’ll never be a dull day or an interminable summer break. We want every child to realise their potential and we want every parent to be liberated from the pressure of having to dream up new ways of amusing their little ones night and day. From science fairs to fruit-picking days and from cinema discounts to kid-friendly YouTube channels, MyKidsTime is a wealth of resources that will prove indispensable to every parent. We love providing parents with useful content that helps them in their busy lives and we also love helping child-friendly businesses grow their brands through effective digital marketing. We help these brands engage with parents through high quality content that parents will cherish. At MyKidsTime, we specialise in helping businesses connect with parents online, providing affordable solutions that have high engagement and deliver a great ROI. We provide a one-stop shop that connects parents with businesses and brands whose activities, products, services and offers will suit their needs and please their kids. But don’t just take our word for it: we’ve received awards for our social media, our blog and our all-round business acumen, have been invited to speak to our peers at national events and have been independently measured as one of the most trusted online brands (Userneeds survey 2012-2018). We’ve successfully grown a large audience of parents who visit our website regularly and connect with us on email and social media. But we know that numbers aren’t everything: it’s all about delivering the right message at the right time to the right people. 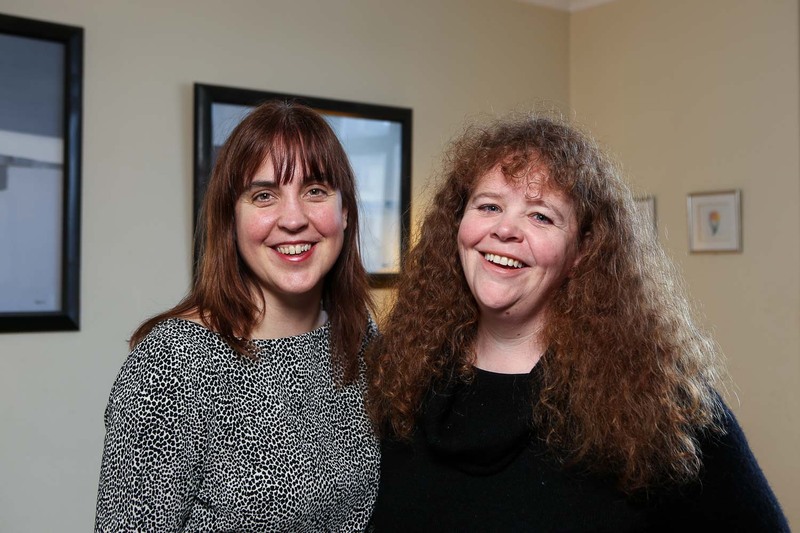 Jill (left) & Michelle (right) are the two mums who founded Mykidstime. Jill lived in 5 different countries before settling in Ireland. Jill enjoys sewing (although she’s not fantastic at it) and last year made many owls and a couple of whales too. The team don’t know when Jill sleeps and she can multitask better than anyone else we know. Michelle worked for 12 months for a bank in Dublin before she decided to run away to London. She stayed 15 years and worked for a publishing company for 10 of those. She also went back to college to become a Montessori Teacher. Michelle’s guilty pleasure is knitting and her daughter, with a bit of help, produced 15 cute stuffed animals for knitting class last year! Michelle is a night owl and loves nothing better than reading late into the night. Whether you’re looking to partner with us to grow your business or are simply seeking ideas to connect with parents, we can help. Over the last 11 years we have built a large, connected community of parents and we know what works to engage and help influence them. That’s because we are parents too. Quality in all we do. We aim to provide accurate and relevant information that provides value to parents and which promotes events, products and services which are of the highest quality. We pride ourselves on offering excellent customer service. This includes little things like always answering emails and phone calls promptly. We always try to satisfy our customers to the best of our ability. Creativity. We’re constantly seeking new ideas for content and website features that will make MyKidsTime even more enjoyable and useful for parents. Giving something back. We support one or two charities every year by giving them a year’s worth of advertising space and helping them to get the word out. We support children’s organisations like Baboró to help them bring their events to families. If you want to use some of our content or images, take a look at our Copyright page. We work with affiliate partners to promote products and services that are useful to parents. These links are within our editorial. If a post is paid for, it is tagged as sponsored content. Find out more on our Disclosure page. All the MyKidsTime Team are parents (which helps as we know the kind of information that other parents want!). Read more about the Mykidstime Team. Please contact us if you need any information or background or images for Mykidstime.